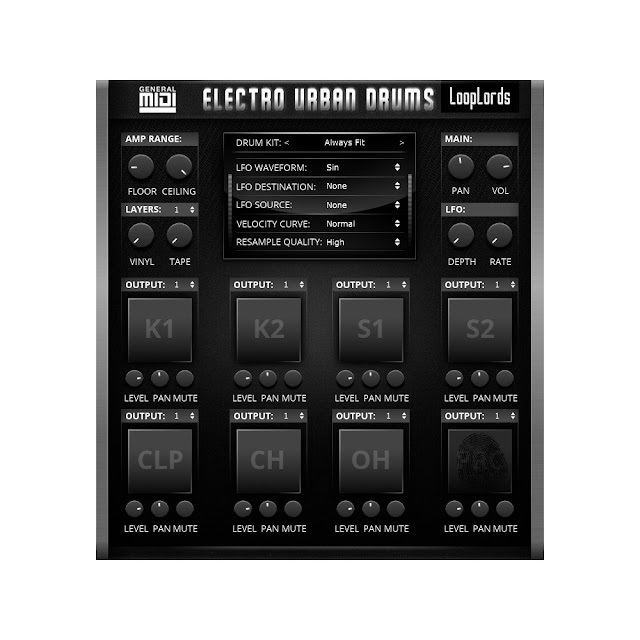 Electro Urban Drums Free Version contains 5 of the 44 drum kits included in the full version of Electro Urban Drums. 40 samples, all unique sounds. Vinyl and tape layers with 12 round robins each. Multi-LFO for amplitude, pitch and pan. Individual outputs for both drums and vinyl/tape layers. Amp range controls to squash your drums. Level, pan knobs and mute button for each drum sound. Big drum pads for on-screen finger drumming (touch screen required). Compatible with standard GM MIDI drum loops. VST plugins for Windows & macOS (32-bit/64-bit). VST3 plugins for Windows & macOS (64-bit). AU plugin for macOS (32-bit/64-bit). VSTI KICKBOY 2 VST- for registered Users free to download!